Co-Production – How it’s working for us! National Co-Production Week is here (From 2nd to 6th July) and we thought we would share with you our experience of co-producing our newsletters. The Charity Finance Group has launched the results of its Finance Counts 2016 report. A notable finding is that charities are struggling to generate income from public service agreements and contracts, with many charities making significant losses on contracts. Marlingford Village Hall approached Community Action Norfolk for support with accessing funding and developing their extension and refurbishment project. 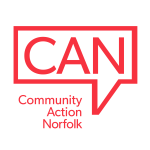 Community Action Norfolk always operates a holistic approach to queries and identified some governance concerns that would be identified by potential funders.